It seems that autumn has only just arrived, but as the temperatures drop, it’s clear that winter is well on its way! Combat the cold this season with some of the hottest accessories out there. From hats to scarves to boots, let your style speak for you this winter. Known as one of the sadder seasons, winter has a way of making us want to suit up in plain clothes, functioning for warmth only. But what better way to keep your spirits high during the chilly months than to have your outfit give you just the push you need? Say sayonara to those boring, basic gloves you’ve had for five years. 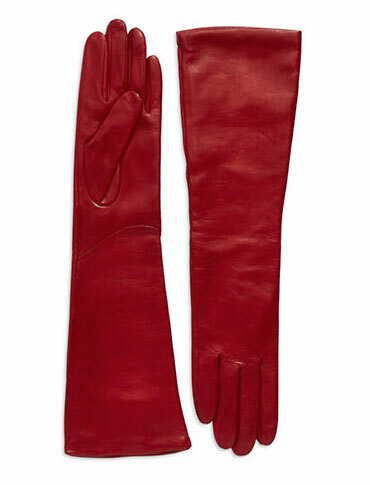 It’s time to update your cold-weather look with some seriously stylish elbow-length gloves. According to this article, these extra-long forearm-warmers are forecasted to be hot this season, and we love the idea of using the accessory as a way to incorporate an unexpected pop of colour. 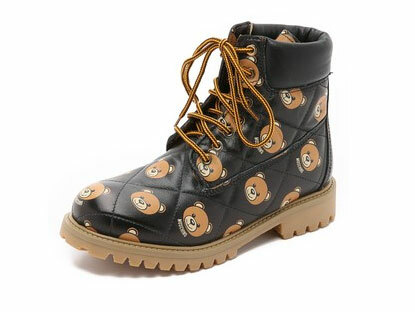 By this point, just about everyone’s caught on to combat boot trend. Stay ahead of the curve with a playful pair of boots that will instantly make you smile every time you take a look at your feet. After all, trekking through the snow can be pretty dismal… Why not have some fun with your footwear? Choose a pair with a bear print or bright colours, whatever suits your personal style! 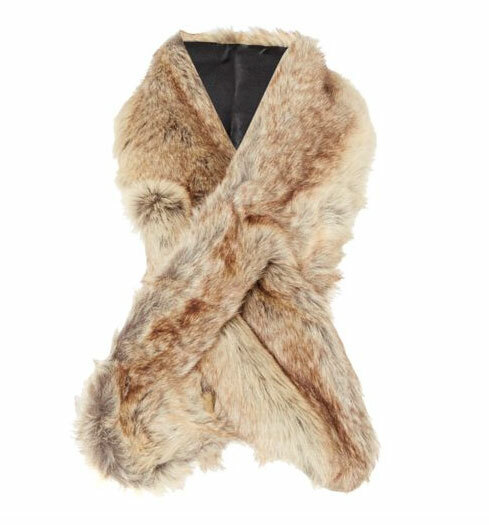 Fashion icon Karl Lagerfeld said it himself, “You can’t fake chic, but you can be chic and wear fake fur.” And we’re taking that advice to heart this season, lusting over lush faux fur stoles and scarves that scream luxury without the price tag. Snuggle up in one of these furry accessories to stay warm and effortlessly fashionable. 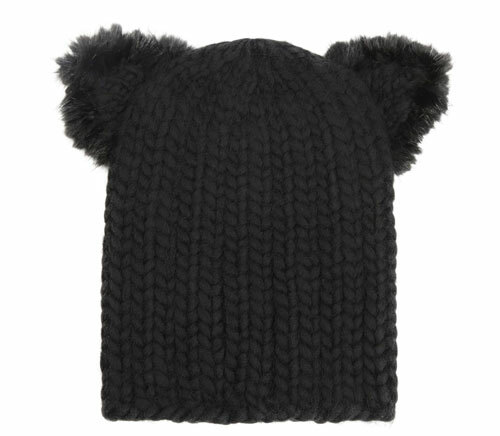 Another unexpectedly stylish element to add to your winter wardrobe is an eared beanie. Great for the days you’re feeling fun or just need something to spice up a basic outfit, the eared beanie is the cool-girl’s way to put off a playfully chic vibe. Show off your lighthearted personality with this kind of piece. Haven’t caught on to the fringe trend for fall yet? Not to worry, because winter is your moment. 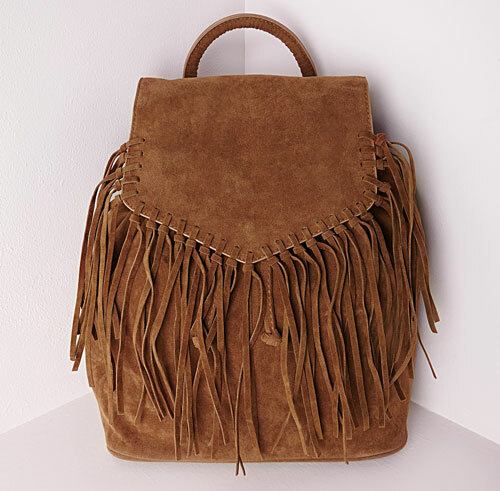 A Western-style fringe backpack is an awesome accessory to add style to every outfit, and it will make the transition from school to the mall much cooler than your other backpack. It’s time to make the switch from a basic backpack to the trendier way to tote books. Just because winter is cold doesn’t mean your style can’t be hot. To score high on the style meter this season, stock up now on these fun fashions that will make winter a lot more enjoyable. Whether you’re looking down at your bear boots or waving to friends with foxy red elbow gloves, you’re sure to be your peers’ style muse. The smile that comes with these items is just an added bonus.